Active since 2005, Trendsfashion Incorporation is operating as a trader in the global market. Trendsfashion Incorporation is an online retailer providing the highest quality replica wear and leather products available online. 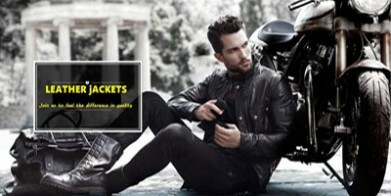 With our years of experience and industry exposure, we are operating as an online retailer of fashionable and breathable replica leather jackets and Clothing suits worn by celebrity available online. By keeping records of leading fashion trends, we make available biker jackets to the sexiest leather jackets that Hollywood stars are wearing and everything in between. In addition to this, we also trade in rare items like sheep skin real leather jackets, cow hide leather for animal lovers and entertain custom orders too. We have garnered wide appreciation for our amazing selection of pure leather products. With our equitable pricing policies, one can take advantage of our bulk order process and can save a bundle of cash. Just browse our online catalog for top-notch quality real cow leather jackets for men & women and much more, select the required items and place order; we will manage the rest. In our spacious and well-structured production unit, our entire range of Leather products are carefully fabricated using high quality raw materials and hi-tech machines. Moreover, our unit is facilitated with all necessary amenities essential for a smooth production process. We ensure that every product dispatched from our premises meet the quality expectation of the clients. To accomplish the same, we conduct systematic monitoring of every process involved in production, packing, and distribution.